Welcome to France! Meet your True France host at the airport in Paris and journey to your luxury Paris hotel for your first night. Having settled into your hotel, head out to explore the city of lights – one of the most renowned cities in the world! 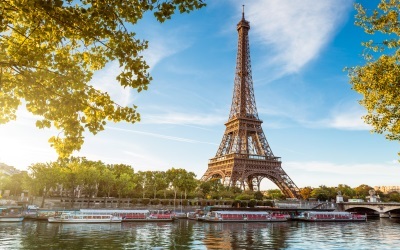 Together with your local tour guide, visit the most popular landmarks of Paris like the Eiffel Tower, Arc de Triomphe, Louvre Museum, and Notre Dame Cathedral. Be sure to enjoy a leisurely stroll along the Seine River and through Paris' famous gardens and parks. Embrace the sights and sounds of Paris, and let yourself get lost in the magic of this remarkable city!